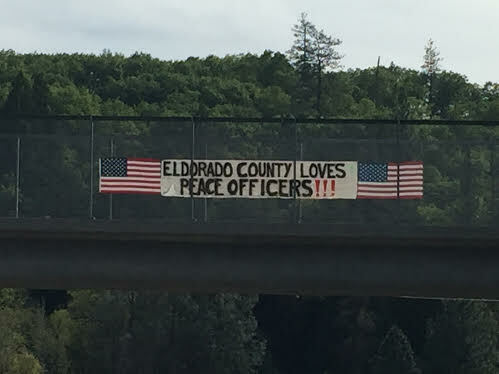 While driving west on Highway 50, El Dorado County Sheriff John D’Agostini noticed a precarious sign hanging from the pedestrian bridge. As he drove closer, his smile became larger and larger. Sheriff D’Agostini thought how wonderful it was that someone took the time and effort to recognize members of his law enforcement family. You see, as a member of the community for generations, it never ceases to amaze him of the good in people. Deputies are met with gunfire while investigating domestic violence in Cameron Park, suspect booked into jail. 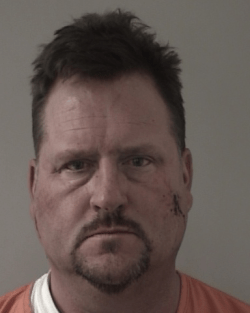 On March 16th, 2015 at approximately 2:30 am, El Dorado County Sheriff’s Deputies responded to an argument in the 3000 block of Oakwood Road in Cameron Park. Upon arrival, they interviewed a female who had been involved in an argument with a male. While talking with the female outside the residence, Deputies noticed a male inside the residence holding a rifle. As the male began firing at them, and fearing for their safety, a Deputy was able to return fire. Several nearby residences were evacuated by Deputies. Shortly thereafter, the residence of the suspect became engulfed in flames. Deputies were then able to detain the male, identified as Michael Hoffer. Fire personnel responded and were able to safely contain the fire once Hoffer was detained. No one was injured by gunfire and all Sheriff’s personnel and vehicles have been accounted for. Michael Hoffer, a 44 year old male resident of Cameron Park, was arrested and booked on charges of 245 (D)(1) PC, assault on a peace officer with a firearm, 664/187 (A)(1) PC, attempted murder and 273.5 PC, felony domestic battery. The investigation is ongoing and more details will be released once they are known. Sheriff D’Agostini appreciates the prompt response from our Deputies and the cooperation from our community. 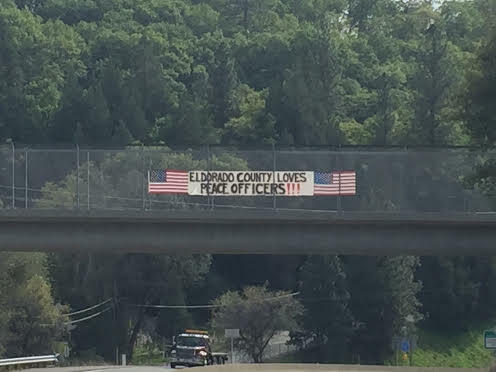 On March 3rd, 2015, The El Dorado County Board of Supervisors unanimously passed a Proclamation recognizing the YANA volunteers (You Are Not Alone). Being alone is one of the greatest fears older adults have as they grow older. The YANA Program has been credited with saving the lives of many older adults who live alone and have fallen or become sick during the night. For the past 16 years through the dedicated efforts of the S.T.A.R. (the Sheriff’s Teams of Active Retirees) Program and volunteers with the El Dorado County Health and Human Services Agency, YANA volunteers have provided daily telephone calls to our most vulnerable seniors and disabled adults living in El Dorado County. This is a free service, seven days a week and 365 days a year. In partnership with the El Dorado County Health and Human Services Agency Director Don Ashton and El Dorado County Sheriff John D’Agostini, the YANA volunteers last year served over 400 people and contributed over 1250 volunteer hours. 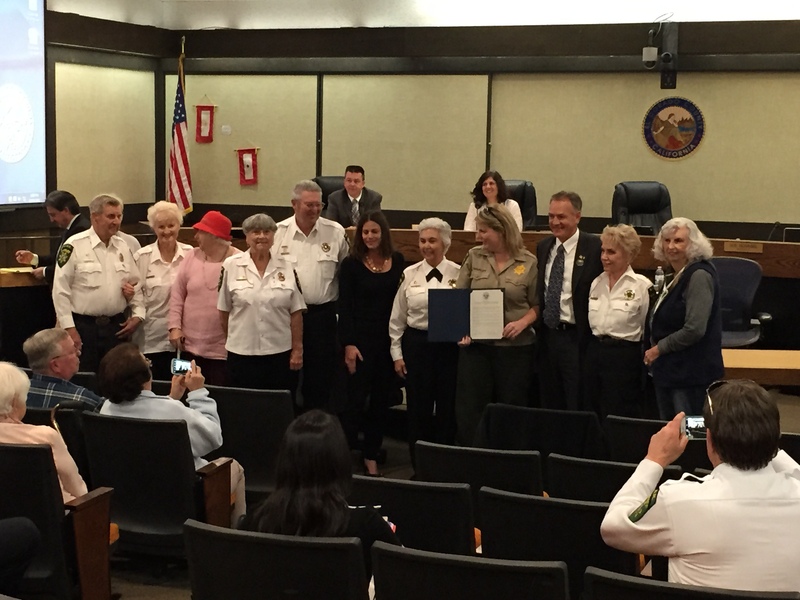 During the Proclamation, Sheriff D’Agostini and Director Ashton thanked these dedicated and wonderful volunteers who have saved the county well over a half million dollars. Sheriff’s Office STAR Program volunteers Jack and Mary Pratt, Carolyn Selby, Michael Slusher, Frances Christiansen, and Lea Snowden along with El Dorado County Health and Human Services volunteers Ellen Yevdakimov, Doris Nasson, Jenny Figuero, and Kitty Hamilton were honored for their contribution and commitment to the YANA Program and their community. Director Ashton read a note from one of the seniors thanking the volunteers. Two members in the audience made their way to the podium and personally thanked the volunteers for calling on them. One speaker even joked, “Thank you for calling even when I wasn’t there…but you kept calling until you got me.” For any questions, information, or referrals, contact YANA at (530) 621-6255.